Putting Gas In The Car? Record It! Last week, we discussed going on an inexpensive vacation. 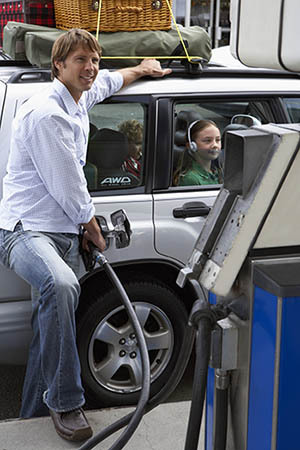 If you are able to get away – or even if you just drive to work or to a store – let us know when you make a gas purchase. It’s time for my family to get down to business with our summer vacation plans. We’ve been discussing things for a few months, so we have some solid ideas about what we’re going to be doing. Unfortunately, according to a Bankrate.com survey, 49% of respondents said they don’t plan to take a vacation this summer. And 24% of all those respondents said cost is the biggest factor for not planning a getaway. Other reasons for not taking a vacation include having too many family obligations (12%) and being too busy at work (11%), according to Bankrate.com. And 13% say they won’t use any paid time off. So let me just say – please try to take your vacations! It’s good for you! Can’t afford to get away? Consider a staycation! Relax at home, go for a hike, catch up on your reading, go swimming, go to a movie, and so on! Look for budget airlines. And be open to traveling on less-popular days, like Tuesday or Wednesday, for lower airfare. Consider unconventional accommodations, such as homeshares and hostels. Some colleges even rent out dorm rooms. Plan to cook some of your meals to save money. And, this is important, don’t worry about any last-minute travel plans. With the many travel apps out there, you can actually book hotel rooms, flights, and cruises for less than what you would have paid if you had booked months in advance. There’s so many things to do, even if you don’t have much money to spend. According to U.S. News & World Reports’ Best Vacation Rankings, these are the best cheap summer vacation spots. These are some great locales. I hope they’re giving you some ideas for your next trip. Let me know what you’re doing this summer, whether it’s getting away some place, or just staying at home. Also, remember, if you’re not able to record your purchases, please let the Panel Support Center know at least a week before you leave on your vacation. If you use the NCPMobile App, you can still use it no matter where you are! I recently bought a number of items from a humongous online retailer. (Can’t mention any names, but let’s just say the founder of the company is the richest person in the world.) 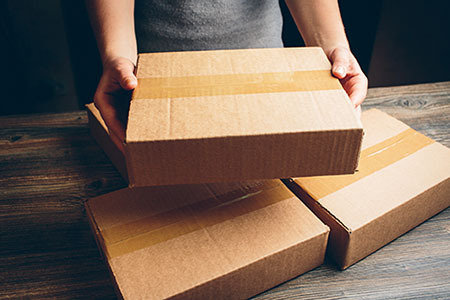 Some of the purchases were packaged separately, delivered on different days. So you may ask, What’s the best way to record this? And that’s a good question. I can certainly see that reporting online purchases can be confusing! Since online retailing continues to explode, it’s very important that our panelists accurately record these types of purchases. So here are some tips that will hopefully make your scanning life a little easier! Hope that helps! Have a great weekend. During the summer months, I find it very relaxing every once in a while to sit outside and enjoy a nice glass of wine. As you can imagine, throughout the summer months sales of beer, wine, and spirits heat up – and it’s not just me making those purchases (LOL). According to the Nielsen Company, restaurants and bars saw sales of domestic super premium and domestic premium beer representing 40% and 39%, respectively, of their annual revenue throughout the summer, with close to 8% of sales for both taking place the four-week period during the Fourth of July 2017. Meanwhile, retailers experienced 36% and 34% of their domestic super premium and domestic premium annual sales during the summer months, respectively. And during the two weeks around the 2017 Fourth of July holiday, domestic premium beer saw $648 million in sales at retailers, the most of any variety. Rosé sales explode in the hot months, with table rosé getting 48% of its revenue in summer in 2017, according to Nielsen. And let’s not forget spirits like gin, rum, and vodka, which also see significant rises in sales during the summer. According to Nielsen, 40% of all tequila sales occur during the summer, with 8% of tequila sales taking place during the four week period around the Fourth of July. All told, people spent $106 million on flavored spirits in the weeks during the Fourth of July 2017. Don’t forget to record your barcoded alcoholic beverage purchases, including beer, wine, wine coolers, and more! In some states you may be able to purchase liquor at a grocery or convenience store. Please be sure to record these purchases correctly using the appropriate store name or store type (if the store name is not available). Thanks, and have a great weekend. I know I will, as I’ll be sitting outside drinking my wine!